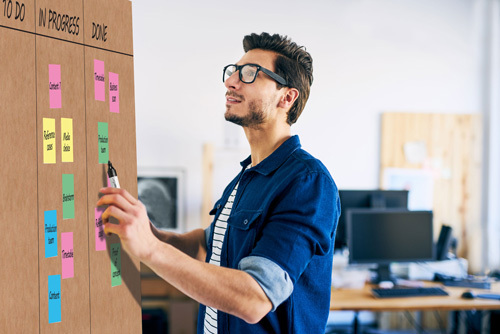 Agile project management is the ideal solution for any organization seeking to operate more flexibly, enabling it to respond to changes at all times. It brings benefits not only in terms of process improvements and project management, but also by encouraging ownership and teamwork. 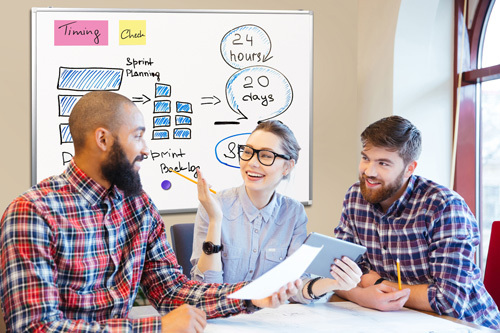 The growing popularity of agile working methods has led to an increase in the demand for smart tools that facilitate and simplify agile sessions in a professional manner. An Agile office sends information through visualization. 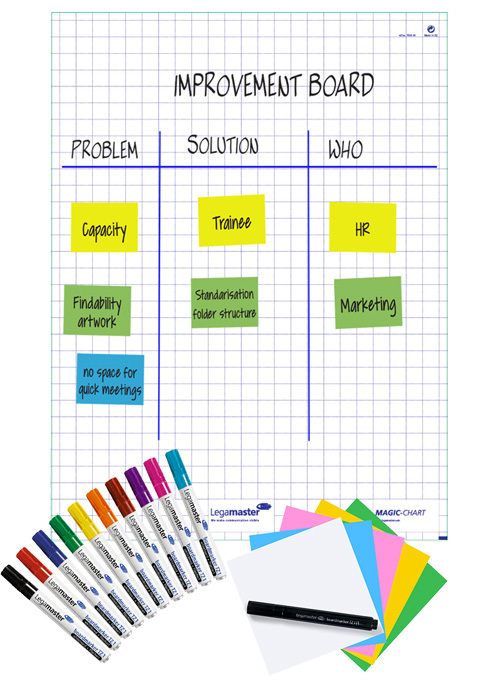 Visualization supports the activities of the agile team, the coach, project manager or scrum master by providing a complete and handy overview of tasks, status and responsibilities. A team that implements a project using an agile approach doesn’t just follow the brief. It anticipates that circumstances may change as the project unfolds. As a result, any change that does arise won’t come as a nasty surprise. Instead, the team is able to respond flexibly, without it costing time or money. The agile approach also means working cyclically and in brief sessions. 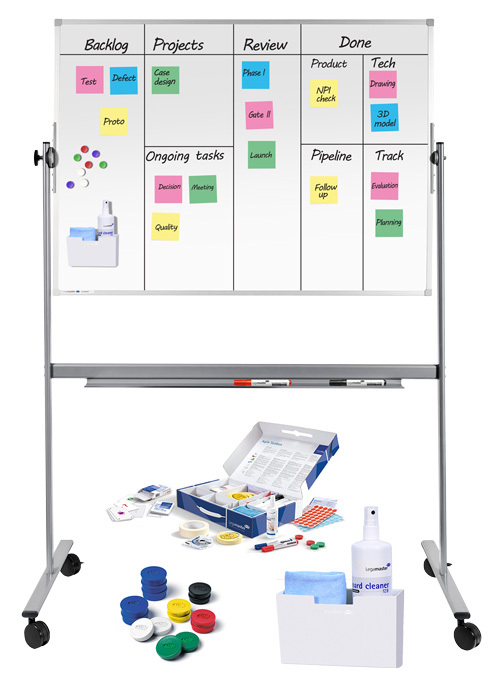 Any whiteboard or glassboard can be transformed into a customised agile board. 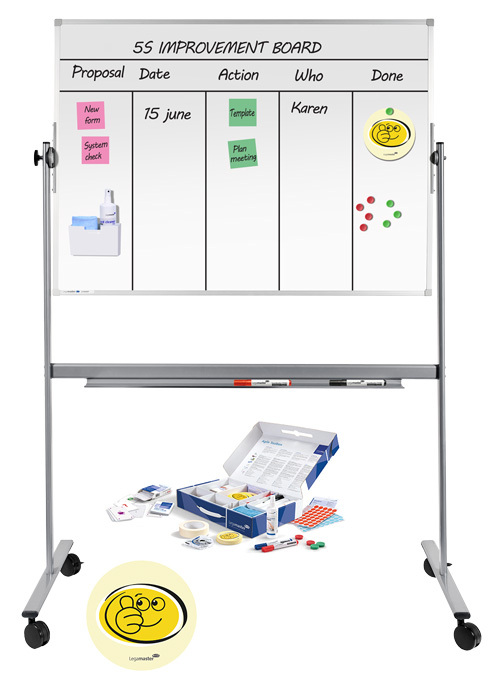 Using tools like boardmarkers, divider tape and magnets, allowing the presentation surface to be adapted and divided as required. 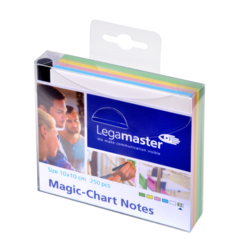 Or for example the Magic-Chart Notes, rewritable, self-adhesive notes which can be used to move tasks from the To Do column to the In Progress, Done or On Hold columns. 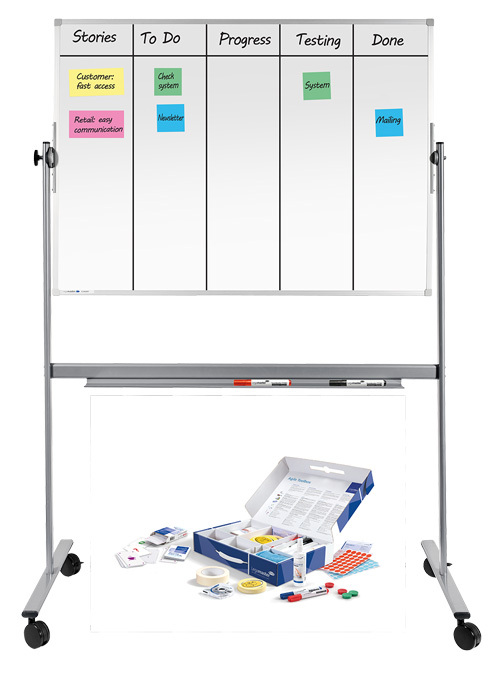 An ideal solution for visualising progress in projects. 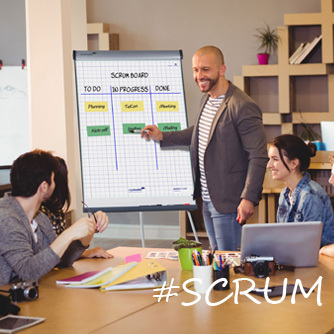 Another tool is a set of Planning Poker Cards, a key feature of the scrum method.In order to plan as realistically as possible, a game of Poker is played. The purpose of planning poker is to prevent discussion about whether a given activity takes 6 days or 6.1 days, or whether something costs 10 euros or 10.30 euros. With planning poker, you reduce absolute thinking and introduce "relative" thinking by making a comparison. A given activity may or may not be greater than a previous activity you have already worked on. A range of tools to enable efficient working, speedy alterations and the clear visualisation of information for your Agile team. 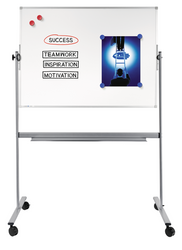 Be inspired and discover Legamaster visualisation solutions for your Agile workplace! 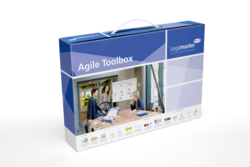 Agile Toolbox - Quick, Smart & Clever! The growing popularity of agile working methods has led to an increase in the demand for smart tools that facilitate and simplify agile sessions in a professional manner. That’s why Legamaster is launching its Agile Toolbox. 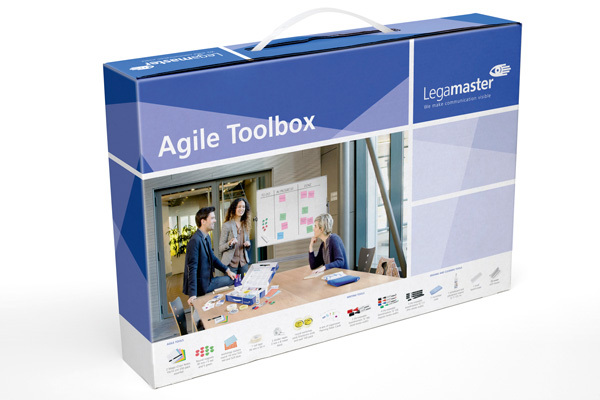 This Legamaster Agile Toolbox supports the activities of the Agile team, the coach, project manager or Scrum master by providing a complete Agile Toolkit in a handy, portable case. 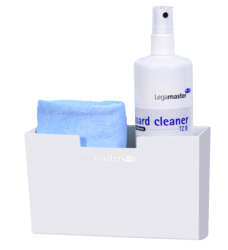 As well as the contents of the Toolbox, Legamaster also offers a full range of other products ideal for an agile working environment. 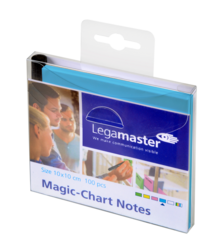 These include Legamaster’s successful Magic-Chart range, brown workshop paper, mobile whiteboard solutions and a complete range of whiteboard accessories. Introducing more flow into your organization. Discover what Legamaster Lean solutions we have to offer. Daily stand-up meetings and sprint planning. 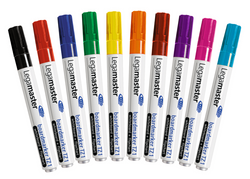 Discover what Legamaster Scrum solutions we have to offer. Organisations are ready to become quick, smart & clever. 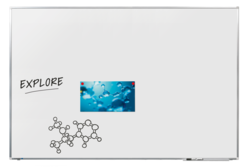 Discover what Legamaster Agile solutions we have to offer. 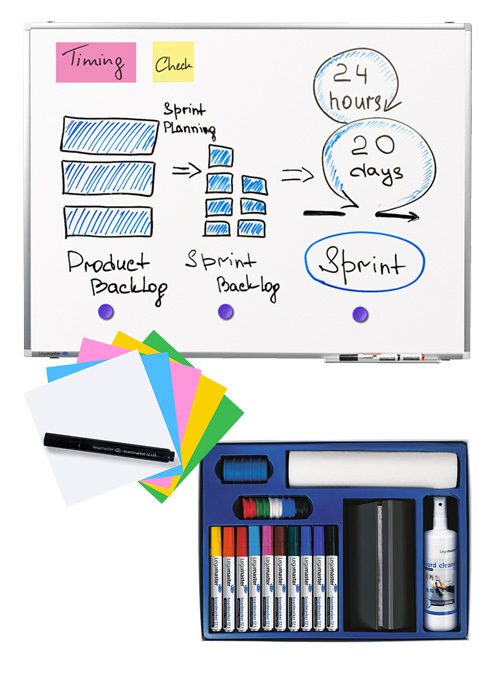 Want to know more about Agile products? Got a question or need specific advice? Please contact us. We will be happy to help you choose the Agile products that are right for you!